We’re halfway through 2011 and it’s time to explore our favorite live album releases of the year (so far). On this episode of Live Fix Radio, we have a megamix of live albums from Bob Marley, Green Day, Mastodon, Regina Spektor, Pearl Jam, Soundgarden, Matisyahu, Levon Helm, Dave Matthews Band, Bob Dylan, Frank Sinatra and more! 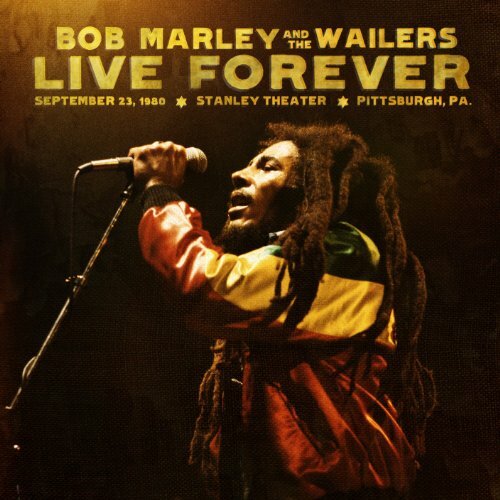 And as a special exploration in to live music history, we take a look at the back story of Bob Marley and the Wailers last recorded concert Live Forever: Live at the Stanley Theater. Have fun diving into this music-packed episode that’ll be great for all your summertime live music roadtrips! And be sure to tell us all about your favorite live albums of 2011, or all-time, in the comments below. Here’s a listing (in order) of the songs played during the podcast along with links to buy them online at iTunes or Barnes & Noble. You can also listen to the albums via MOG’s 14-day free trial. And you can find out more about MOG’s highly addictive music subscription service in our review.